Several conditions may increase your blood homocysteine level such as an inadequate folate intake with diet, smoking, drugs (i.e. methotrexate, synthetic hormones like Birth Control Pills, antiepileptics), renal failure and an inherited gene polymorphism of methylene-tetra-hydro-folate-reductase (MTHFR).MARCH 14, 2008 – Are you suffering from Folic Acid Deficiency? What would you say if I told you that you could reduce your risk of cancer, heart disease, stroke, coronary artery disease, depression, anxiety, Alzheimers Disease, memory loss, retinal vein occlusion, and more with a single, highly absorbable form of folic acid called L-methylfolate? Increase in circulating homocysteine may trigger endothelial dysfunction through oxidative damage. Hyperhomocysteinemia has been reported as risk factor for arterial and/or venous thrombosis. If you’ve had an elevated homocysteine level in the past, you may want to check your blood for a polymorphorphism or gene defect that decreases your ability to metabolize folic acid. The test is called MTHFR, DNA Analysis that checks for two mutations: C677T/A1298C. These mutations and their associated risks are inherited, so if you test positive, then testing of at-risk family members should be considered. 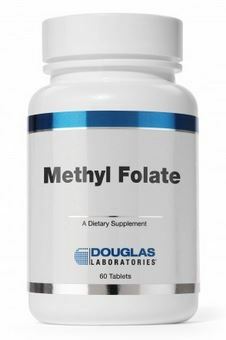 The MTHFR enzyme is responsible for creating the circulating form of folate. Folate is important in regulating our homocysteine levels. A normal homocysteine level should be less than 10. Defects in this enzyme can cause elevated homocysteine levels. Elevated serum homocysteine levels have been associated with an increased risk of cerebrovascular disease, coronary artery disease, myocardial infarction, and venous thrombosis. In women, pregnancy complications and an increased risk of fetal open neural tube defects (spina bifida) have been reported. With regard to vascular disease, these polymorphisms can increase your risk of vascular disease and all of the disorders listed above. Folic acid plays a key role in the maintenance of gene stability. A growing body of evidence suggests that a deficient supply of dietary folic acid may be a risk factor for several human diseases, including neonatal malformations, Down syndrome, Alzheimer’s disease, cardiovascular disorders and cancer. Click on the image for more on the supplement and to buy the supplement for those who use it or are ready to try it. With regard to cancer, in conditions of folic acid deficiency, the mutated gene has been shown to be associated with an increased risk of cancer at various sites including colon, breast, gastric, cervical and prostate. With regard to depression, folic acid deficiency may increase the risk of depression and reduce the action of antidepressants. Individuals with an inherited polymorphism that reduces the efficiency of folate formation may be at high risk for folate deficiency and for major depression. Antidepressant effects have been reported when antidepressants are augmented with folic acid, or L-methylfolate, a more absorbable form of folic acid. L-Methylfolate acts as an important regulator of a critical co-factor for neurotransmitter synthesis. By boosting neurotransmitter synthesis L-methylfolate is able to augment the antidepressant actions of known antidepressants. 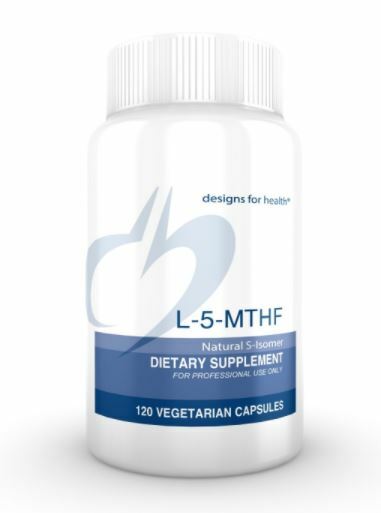 Even if you have the polymorphism or mutated gene, you can offset all of the above diseases by taking a highly absorbable form of L-methylfolate. Hyperhomocysteinemia is modifiable risk factor for thrombotic diseases. Many patients with elevated homocysteine levels might benefit from supplementation with L-methylfolate. Pam Lab has several forms of L-methylfolate (Deplin, Metanx, Cerafolin NAC) on the market for Depression, Neuropathy, & Memory available by prescription. The bottom line is that folic acid deficiency is easily correctable, and the many health benefits of starting a folic acid supplementation regimen make correcting this imbalance an easy decision. 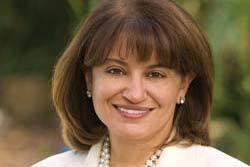 Dr. Pamela Egan, DNP, CDE is a board certified Adult & Family Nurse Practitioner, Certified Diabetes Educator & Clinical Specialist in Mental Health. Call the clinic and spa at (985) 983-3031, or www.pamelaegan.com.